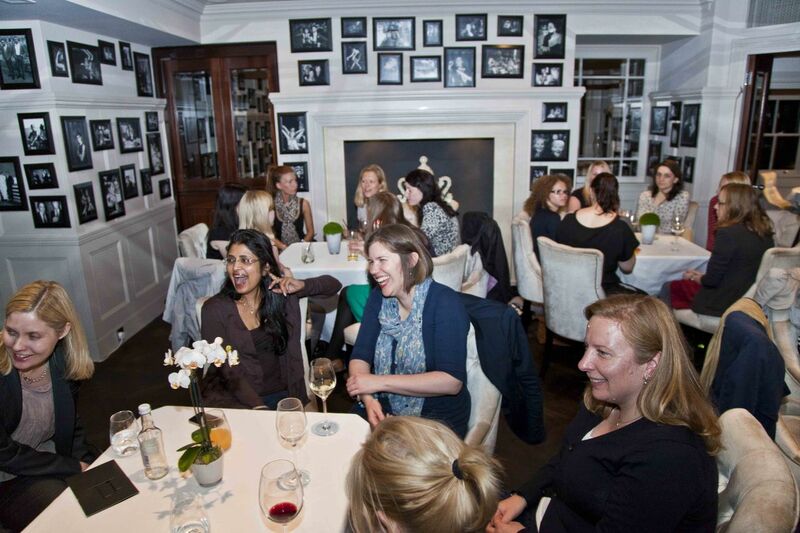 The world's biggest women's book club! always something like “well come check it out and see… ” Because work – I assure you it does. It more than works – and this isn’t just coming from the Founder who is trying to subliminally sell you on the idea.. I’ve got pages and pages of testimonials from women who have come and experienced the reinvented Book Club phenomenon and of course, if you happen to have a chuck of unplanned time – I am happy to share them with you. This is the first whole book I’ve read on my iPhone – which I think is in itself a bit of a feat. I only have about 10 minutes to and from work and it took me about 50 trips to finish this book at this pace. I have to say, I almost gave up mid way. When Bronte sees her dead horse I almost had to pack it in…. but I persevered since it’s going to be discussed in our December meeting here in London. It’s a strange story that takes place in a place I’ve never been, Tasmania. I could relate a bit to Sarah who came over from London but I can’t even imagine living in Compton after the energy and liveliness of London, it must have been quite a shock. The story itself – following both Harry, Tom, Richard, Sarah and Bronte never allowed me to get properly invested in any one character. I thought the end with Harry and Bronte finding whatever it was they found with each other highly unlikely and the fact that Sarah seemed to be once again smitten with her husband was never fully explained. It was a very odd book but I didn’t hate it. It kept me entertained and I found I looked forward to hearing about the stranger characters more than the sane one such as Harry with his terrible polyester outfits and even his random band mate. It wouldn’t ever be on my recommendation list but I’ll be interested to hear what others thought of it. I also don’t think it will compel me to pick up Adam other book Single White Email. Facebook Post this morning: Feel like I am on the edge, ready to jump and hoping to god I can fly! 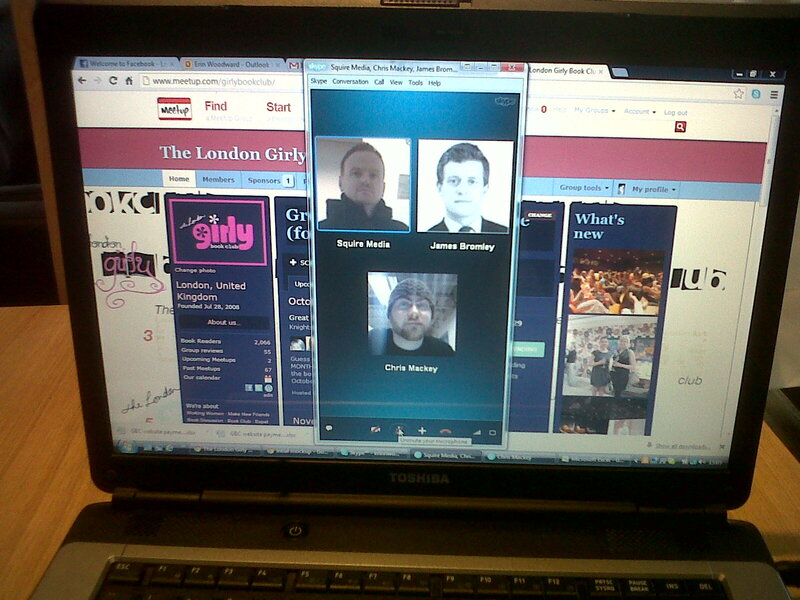 I had a SKYPE call with the men in my life today – regarding none other than “the girly book club”… my graphic designer, website programmer and business partner .. the brains behind what will become thegirlybookclub.com, but sadly I am the only woman.. I think I need more estrogen to push this project forward… what do you think? I made my business partner join the group on Facebook, much to his chagrin, he is the only boy in the group – but he needs to know what’s going on. Lol. So I had this call with the three of them, and I sorta like being the only woman.. when you’re the only women you feel a bit like you can be the center of attention. Either way, I think it was a good call. discussing the future of the club and our plans for the website that we should soon start to build. Exciting times. I was also told today that I should start making book review videos! Good thing I am not shy. I am going to be so busy blogging over the next few months that I don’t know when I’ll have time to read anything, I finished my advance copy of Winter Games by Rachel Johnson. She might be able to come to our November meeting. It was a good book and I think it would be a good discussion so stay tuned for that London. Also, need to find a new venue for October, I want to try something new, anyone got any ideas?